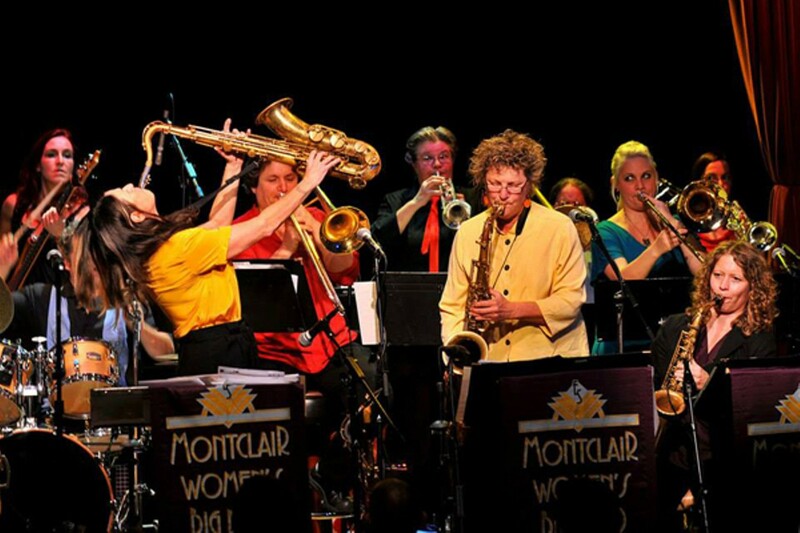 Montclair Women's Big Band performed at Yoshi's last November. Back in March, Ellen Seeling made headlines when she staged a rally outside the SFJAZZ Center to draw attention to the fact that Wynton Marsalis' renowned Jazz at Lincoln Center Orchestra has never hired a permanent female instrumentalist since its founding in 1988 (see "Jazz's Old Boy's Club," March 19). She advocated for blind auditions, which could give women a fairer shot at joining the band. Now Seeling is drawing her attention to local jazz festivals, whose lineups also exhibit a striking gender disparity. She says festival organizers — even in the progressive Bay Area — have long excluded female performers, and she wants artistic directors to do a better job of recruiting female instrumentalists and giving them the mainstage platforms they deserve. Doing so would break down some of the stereotypes about female jazz instrumentalists. "The inference is that women artists are not good enough to be on the mainstage with the big boys," said Seeling, a longtime musician who teaches jazz trumpet at UC Berkeley and runs the Girls' Jazz and Blues Camp in Berkeley. 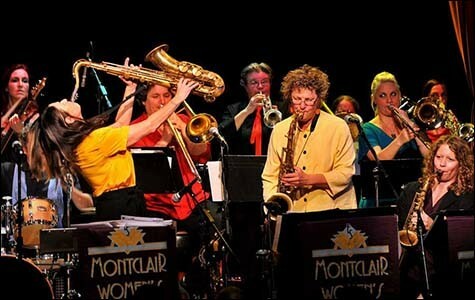 In recent months, Seeling, who is the founder of the Montclair Women's Big Band, has been scrutinizing the lineups of the San Francisco Jazz Festival (which is run by SFJAZZ), the Monterey Jazz Festival, the San Jose Jazz Summer Fest, and the Stanford Jazz Festival. While they don't lack female vocalists — a fact that artistic directors tend to emphasize in response to criticisms about gender disparity — there are few female instrumentalists, and even fewer in headlining roles or mainstage performances, Seeling said. Women are mostly relegated to smaller stages, which are often reserved for student groups and low-profile musicians, and thus earn less money. For example, of the 21 acts featured at SFJAZZ's summer festival this month, only two feature female instrumentalists in headlining roles. And almost all of the supporting instrumentalists in the festival are male. Out of the fourteen bands that will be featured at the Monterey Jazz Festival's "arena" mainstage in September, only one is led by a female instrumentalist (a vocalist/pianist). Another act features a female guitarist — but only as a "special guest." Of the several dozen acts featured as "grounds artists" performing on smaller stages at Monterey, a handful showcase female instrumentalists in prominent roles. Though the full lineup for San Jose Jazz Summer Fest has yet to be announced, thus far none of the mainstage's eleven acts feature any female instrumentalist headliners, and there is only one female artist (an R&B singer). The five other smaller stages at San Jose, which will be held in August, feature more than a dozen female-led acts, but only a few that are non-vocalists. Finally, at the Stanford Jazz Festival, which runs from June through August, only 5 of 35 acts feature female instrumentalists in headlining roles (including one who is primarily a vocalist). "It's a vicious cycle," said Mimi Fox, a Bay Area-based jazz guitarist, and one of two female instrumentalists featured in SFJAZZ's festival this month. "For women to be heard they need an opportunity to play. And in order to play, you need to be heard." Fox said the lack of women in jazz is a systemic problem, with male-run booking agencies promoting mostly male performers and music journalists rarely featuring female jazz musicians. "It's pretty easy to fill your whole festival without any women," said Kristen Strom, a saxophonist who will be headlining a Stanford Jazz Festival show this summer and performing on one of the smaller stages at the San Jose Jazz Summer Fest. "There are a lot more male jazz instrumentalists out there to choose from." Still, she argued that there are a lot of talented women — and she would like to see more of them included in these types of high-profile lineups. SFJAZZ Artistic Director Randall Kline was not available for comment, but representatives from the other three festivals emphasized that they are featuring many female vocalists and that they consistently make conscious efforts to recruit more women instrumentalists. "We always have a strong representation of female artists," said Tim Jackson, artistic director of Monterey Jazz Festival, noting that he doesn't distinguish between instrumentalists and vocalists when he considers the diversity of his lineups. "They are musicians, whether they choose to play the saxophone or sing." Seeling told me that she has tried for years to get her big band booked at Monterey. Jackson said that the festival considers hundreds of possible acts every year and noted that he has booked Seeling's act at a different venue. "It's a great band and they should be heard." Bruce Labadie, festival and artistic director of San Jose Jazz, said he tried to book five well-known female artists as headliners, but that none were available. "We've really tried hard," he said. "But in terms of male versus female, it's at least ten-to-one in terms of those that are available, period." Booking agencies, he added, don't have balanced rosters. "It would be nice to have the ratio reflect the general population," said Ernie Rideout, marketing director of the Stanford Jazz Workshop. "I think that would make everybody happy, if that could be possible. But the gender ratio among professional jazz musicians is very skewed." But Jason Olaine, artist director of the two-day Fillmore Jazz Festival, said he had no difficulty finding female instrumentalists for this year's event. In fact, he scheduled so many women to perform that he, with input from his wife, decided to make this year's theme "Celebrating Women of Jazz and Beyond." "There are so many great women artists in the Bay Area and beyond — not just vocalists," said Olaine, who said nearly all of the roughly 25 acts he booked feature female musicians. "It would be easy to do a festival based on women every year." Improving gender disparity at jazz festivals would go a long way in not only helping today's female jazz musicians, but the next generation as well, said Seeling. Every summer, her Girls' Jazz and Blues Camp brings together about sixty middle school and high school girls for an intensive week of classes. Since Seeling co-founded the program in 2009, there's been consistently high demand among students, she said, and this year's camp nearly sold out two months in advance. From the start, the camp faculty has been exclusively female, which Seeling said is key: Girls need role models. This is especially true during the summer, when her students may attend a number of high-profile jazz festivals. "A girl trumpet player in the Bay Area could go to every jazz festival and never see a woman play her instrument," said Seeling. "It is just so depressing. ... These festivals are run by men — and women, no matter what they do, just can't get enough gigs to be visible." UC Berkeley trumpet instructor Ellen Seeling wants Wynton Marsalis and Jazz at Lincoln Center to hold blind auditions — and finally hire female instrumentalists.